Just last week Danny reminded me he had a week’s vacation coming up; I thought he’d intended to spend it at the lake. But he surprised me & said we should take a trip together! We knew we wanted to bike & hike, & we both have a passion for craft beer. After nixing our second choice--Wisconsin--then we need to figure out where in Colorado. I wanted to choose someplace new & different for Danny & Ft. Collins, Boulder & Denver have a ton of breweries, so I started looking at places to hike in Northern Colorado. We’ve been to Rocky Mountain National Park backpacking & hiking a lot, & hiking in many places in the north, so none of that was new. In the end, hiking in the north got ruled out because of all the pine beetle damage...it’s horrid. And not only is the scenery marred by a gazillion dead trees or whole mountains being clear cut, but it’s dangerous to camp & hike in areas where there is so much potential for dead trees falling...eek! He suggested just going to Crested Butte...where the camping is free, easy & close to town; the town has great beer & food, the hiking is supreme & the people are so wonderful. Awesome!...everyone knows it’s my favorite place to be in the summer...more than favorite, it feels like home to me. So, we decided we’d go to Denver/Boulder first, then make the drive to CB, then end our trip back up north in Ft. Collins & possibly swing back by Denver. This final plan was decided as we drove away from the house early Saturday morning. I’m a driving machine on road trips & I usually try to do most of the driving to give Danny a break from it since that’s what he does for a living. Even though we drove through Kansas in the daytime, it wasn’t too bad. Heading west is always my fave part...it’s the coming back east that I dread! 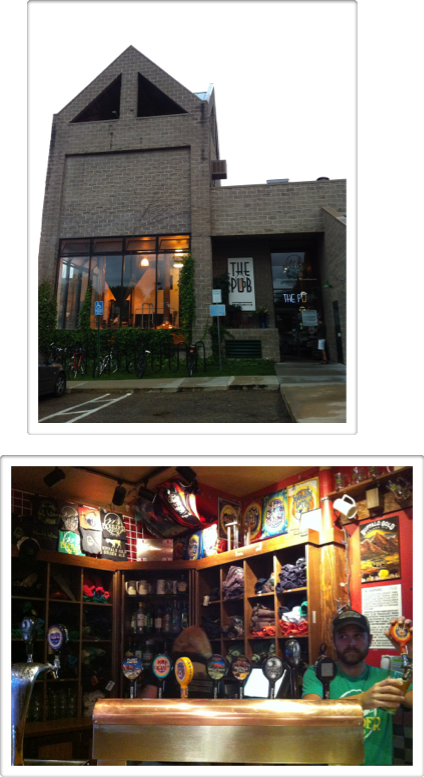 So, that was the first stop of our Hike, Bike & Brew trip. Danny had the Belgium Pale Red (BPR) & I had the Quandary Quad & the Hopenberg Uncertainty Principle. They also gave us tasters of the Avaries Imperial Stout & the Unified Theory Oaked Imperial Wit. We loved all this beer! The guys working there were friendly (I got stickers!) & seriously, all the beer was really, really good. The unique thing about this brewery is that while they don’t serve food, everyday they host one of Denver’s yummy food trucks. We headed north for Boulder, but discussed trying to make it back here at the end of our trip...River North Brewery is not one to be missed! It was a quick trip up to Boulder which is home to a ton of breweries. We didn’t have any specific in mind to visit, we just wanted to try as many as we could. Avery & Boulder Beer are probably the biggest craft beer breweries in Boulder & both we can get back in Kansas. We started with Avery. Everyone we’d ask “who’s your fave brewery in Boulder?” they’d say Avery. I like their Hog Heaven Barley wine, which I’d had a few weeks ago at the Brick. 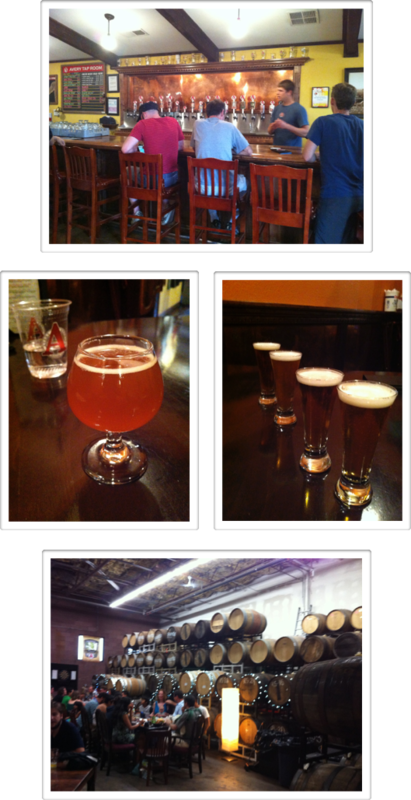 I had the Twenty XXIPA & Danny had the Karma Belgium pale ale & the Salvation Belgium. We also tried (an over-priced-but-we-probably-wont’-be-back-so-why-not?) the Bad Apple (recommended to us by a River North Bartender) which is a Belgium Ale aged 12 months in a oak barrel with 6 months of Granny Smith apples thrown in. It was good, but not our favorite. The beer was good, but North River is still king. Our next stop was Boulder Beer. They were hoppin on a Saturday night & weren’t offering any beer that we couldn’t already buy in Kansas. The staff seemed busy & we didn’t want food, so we just walked in & checked it out, then left without drinking any beer. It was getting close to sunset & we didn’t need anymore beer tonight. It’d been a long day; Danny hadn’t slept much the night before, so I thought I’d adventure up a road I’d only driven once before. (Background: On my first planned solo trip to Colorado, I was headed to Boulder....there was a time I thought I’d want to live here. I remember still being afraid to drive in the mountains & Danny said to me “What are you going to do if you get out there & are too afraid to drive?” My response was, “I’ll either learn to do it or turn around & come home.” I learned & fell more in love with mountains! The road is still all those things, but I was no longer nervous. It rises above the city with breathtaking views of the Flatirons. Danny fell asleep after our second stop so I just continued on driving until dark...then turned around & wound my way back down to town. By this time I was ready for bed. I knew Boulder didn’t have any free camping close to town, so I knew we’d have to “urban-camp”. It seems in cities that have a lot of open space & parks, they are filled with “no overnight parking” signs...I’m sure to keep the homeless & cheap-skates out. But this cheap-skate knows what to do. A block the other side of the famous Pearl Street outdoor mall, I found overnight parking. After about 10 minutes of re-arranging all our gear & food, we both tucked into our sleeping bags in the car & headed off to dreamland.